Oh, look at Kim Kardashian being charitable and all! The reality television megastar took daughter, North West, on a trip to deliver food for the homeless. There the blonde buxom beauty was joined by sister Kourtney Kardashian in what seems to have been a very selfless act. Did Kim Kardashian change? Some would say so. After being robbed of millions of dollars worth of jewellery in Paris last year, Kim Kardashian decided to be less materialistic and more selfless. 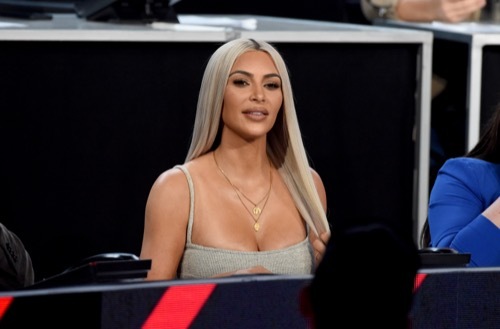 She went into shutdown mode after the incident and uncoupled herself from real-time social media updates when it was revealed that one of the robbers knew where Kim was merely by following her on social media. The incident caused her to experience a form of PTSD, inherently and unequivocally changing the very essence of the 36-year-old Kardashian. The latest “good deed” doesn’t go unnoticed. However, there’s always a snake in every type of grass, even the most charitable ones. Kim was filming for Keeping Up with the Kardashians when she took to the streets of L.A. and decided to give food to homeless persons. This drives a dagger into the heart of her little social project. We can all be charitable when everyone’s looking, but it is when people look away that our better angels are being tested. Was this a stunt for the cameras? 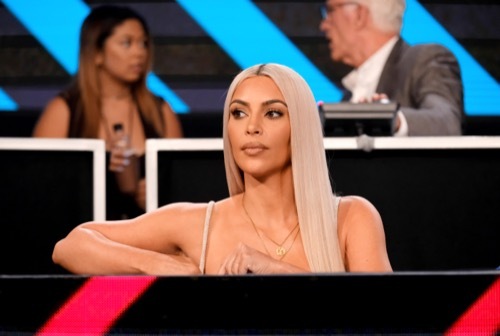 Did Kim go all charitable on us just for the sake of altruism? Or were there nasty little strings attached? “I feel like that was so meant to happen to me… I am such a different person. I feel like things happen in your life to teach you things. I was definitely materialistic before, not that there is anything bad with having those things, I worked really hard to get those things. I’m proud of everyone around me that is successful… but I’m so happy that my kids get this me and this is who is raising my kids, I just don’t care about that stuff anymore. I really don’t,” said Kim on an April episode of the Ellen DeGeneres Show. And the truth was spoken. Kim not only changed her ways, but also her looks. Gone are the scream-black locks and the over-the-top fashion trends. Dressed down, blonde and beautiful. Simple. Elegant. Straightforward. A new Kim Kardashian who gives food to homeless people. Did she change her ways? Are we looking at a newborn woman? Or is she still selfish and materialistic? Let us know your thoughts in the comments below. Kim Kardashian Worried Kylie Jenner Will Ruin Kanye West’s Fashion Show!